TOMRA Sorting Food will unveil upgrades to its ground-breaking Nimbus BSI sorter for the nut, dried fruit and other food industries at The Almond Conference 2017 in Sacramento, California, on December 5-7. The upgrades include new, user-friendly software, improved Biometric Signature Identification (BSI+) technology, more accurate mini-pitch manifold, and more hygienic accept and reject chutes. The upgrade options will be revealed to Almond Conference delegates at Booth 533. The BSI+ module identifies product defects visible and invisible to the human eye using a near-infrared spectrum. This makes the sorter a market leader in detecting problematic defects in almonds, hazelnuts and other nuts, including insect damage, mold, discoloration and doubles (where two nuts are found within one shell). At the same time, new software will further improve the user experience for setting up a product’s biometric signature, making the BSI technology easier to use for operators and requiring less training and resource investment. The upgraded intuitive user-friendly interface now gives customers more input options and flexibility, allowing them to quickly and easily assign classifiers to meet their own requirements. Customers using the existing Nimbus BSI sorter will also be able to benefit from the new software upgrade, improving their sorter’s performance without making any mechanical changes. The sorter also boasts various mechanical upgrades which result in more effective sorting of nuts, dried fruits, grains and seeds. The size of the mini-pitch manifold has been reduced by 25 percent, making the rejection process more precise, reducing false rejections and resulting in higher yield. The product chute has also been redesigned to improve access to the Rear Ejection System meaning customers can ensure better hygiene and sanitation. This can provide customers with peace of mind during hygiene audits and keep the machine’s uptime as high as possible. 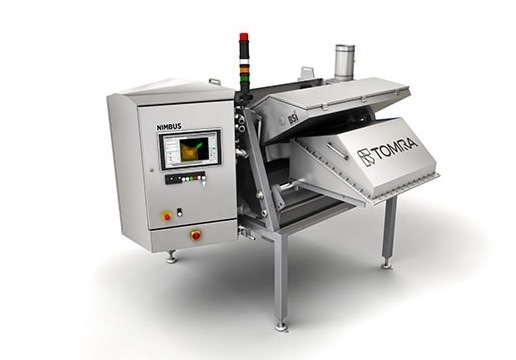 Thomas Molnar, TOMRA Sorting Food’s global sales and marketing communications director, says: “The upgrades available on the Nimbus BSI help processors work more efficiently, produce an even higher quality product, minimize product waste and maximise profits. Surrender to the temptation of Feuillage – the unique cookie from Morozoff of Japan.